After more than thirty years of conservative treatments, including Physical Therapy, epidurals, anti-inflammatory medications, and surgical interventions (total left knee replacement in 2005, total right knee replacement in 2009), it was concluded that I needed both hips replaced in order to experience sustained pain relief. The pain was located in both groin areas, lower back and radiated down my left leg. Prior to surgery, the pain intensified even when sitting and changing position in bed. The muscles waist down were painful to touch. My quality of life declined to the extent that I was unable to complete routine household duties, tie my shoe strings, bend, and walk short distances, without experiencing severe pain. I was referred to Dr. Boyd Haynes by his partner, Dr. Mark McFarland, in 2013. After a thorough assessment by each of these physicians, Dr. Haynes successfully performed a right “Jiffy Hip” replacement on August 21, 2013. 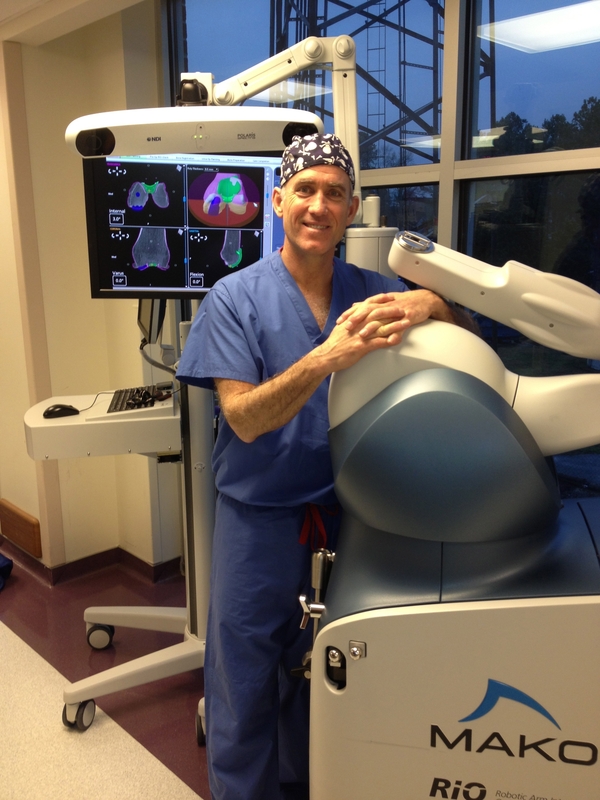 Eight months later, on April 30, 2014, Dr. Haynes performed a left “Jiffy Hip” replacement. Patient education began as soon as the decision to do surgery was made. Every question I had was answered during my initial office visit, during preadmission planning, during the three-hour orientation at Bon Secours Mary Immaculate Hospital, and the hospital’s surgical team. My apprehension was alleviated by the caring and nurturing responses from all the staff. Postoperatively, the pain was minimal due to the anterior approach used by Dr. Haynes during the surgical procedure. Because less muscle was involved, there was less pain. I ambulated the day of surgery and was discharged home the next day, following the first surgery. Following two weeks of in-home therapy involving Occupational/Physical Therapy and Nursing, I was prescribed four weeks of Outpatient therapy two times weekly. With the encouragement, directions and support of the therapeutic Physical Therapy staff at OSC, I successfully met my therapy goals. Following the second surgery, it was necessary for me to go to Rehab for two weeks. X-rays revealed that the left hip was damaged more by Arthritis than the right hip. The right hip was replaced first because I was experiencing more pain on that side. I was discharged home after two weeks and began outpatient Physical Therapy with OSC. The interventions, guidance and support of the staff were second to none. The outcome of each of these surgeries has exceeded my expectations. For the first time in over thirty years, at the age of 70 years, I can ambulate without pain and without a cane. I am able to complete basic household tasks, tie my shoe strings, bend and walk up twenty three steps without stopping. These are “can do’ acts instead of “unable to do”. Thanks to God and Dr. Haynes, “I am Healed”. I highly recommend the “Jiffy Hip” replacement to any procedure that has been recommended. The quality of my life has increased immeasurably. Now that I am pain free, I have become more active and my socials interests have returned. Friends tell me that I sound happy over the telephone.